Mercedes-Benz India has been delivering on its promise of launching 15 new vehicles this year. It has just taken the wraps off its latest offering - the GLE-Class. It's the replacement for the ML-Class SUV - the GL stands for the 'GL' line of vehicles (SUVs) derived from the E-Class platform - this nomenclature will be followed for all the sedan-based SUVs from the German carmaker. 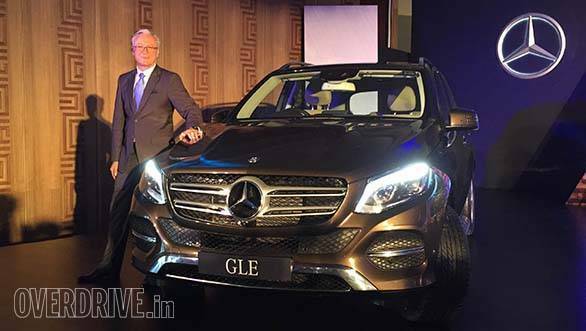 The prices for the GLE start at Rs 58.9 lakh (ex-Delhi). The Mercedes-Benz GLE-Class will be available in two variants - the 250d and the 350d. The Mercedes GLE-Class 250d uses the 2.2-litre four cylinder diesel that puts out 204PS at 3,800rpm and 500Nm between 1,600 and 1,800rpm. 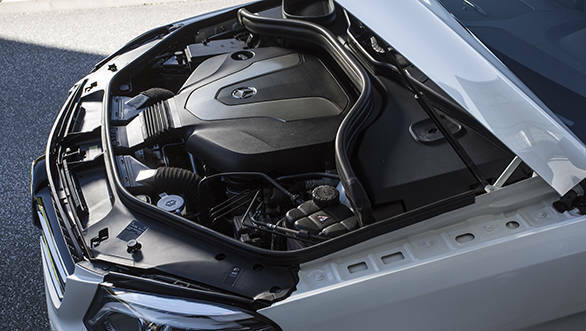 The Mercedes GLE-Class 350d gets the 3.0-litre oiler that produces 258PS at 3,400rpm and 620Nm at 1,600rpm. The power is similar to the outgoing M-Class variants, but a new 9G-tronic gearbox achieves these outputs at a slightly lower rpm. The cars get the 4Matic system and the Airmatic air suspension. The 250d will sit on 18-inch alloys while the 350d gets 19-inchers. The Mercedes-Benz GLEs also get all-LED headlamps with the adaptive function. The cabin gets the new COMAND infotainment from the C-Class. The 250d gets all-black upholstery, while the 350d gets the brighter beige and black combination. The GLE-Class will be available with a choice of six colours. Both the variants are about Rs 2 lakh more expensive than the outgoing model.